The world is responding to the scourge of single-use plastics: Seattle banned plastic straws as of July 1, Vanuatu announced plans to ban single-use plastics this year, Starbucks will phase out plastic straws worldwide by 2020, and Costa Rica seeks a ban on most single-use plastics by 2021. In Honduras, ELAW partner Laura Palmese is working to ban straws and all single-use plastics in Roatán, a popular tourist island on the southern edge of the Mesoamerican Barrier Reef. "Although some restrictions are in place, they are weak and poorly enforced," says Laura. 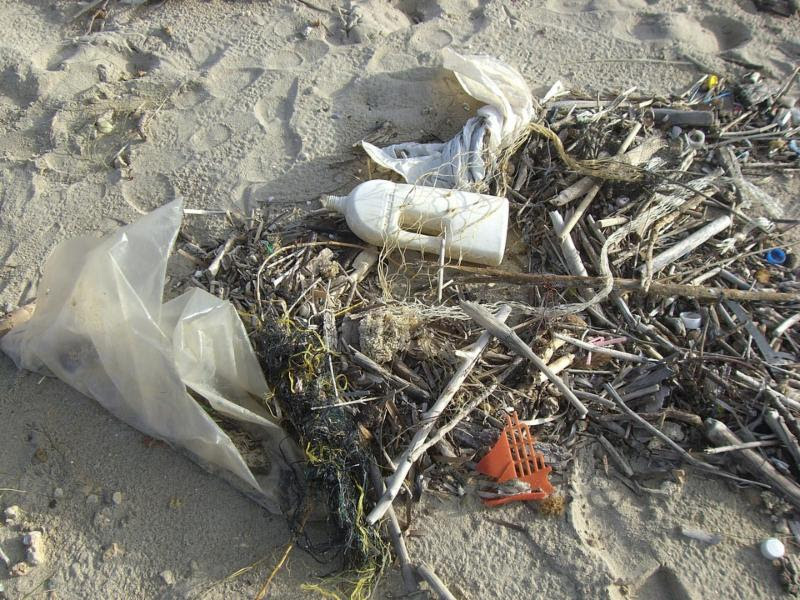 "Plastic waste in Roatán is a serious, growing problem." Laura works as a legal advisor to the Bay Islands Technical Committee, the Bay Islands Tourism Bureau, and the Roatán Reef Guardians. She is an expert on waste management and legislation in Honduras and is a member of the drafting group on a new National Waste Management Law and Policy. Laura has worked with ELAW to organize several events and workshops in Roatán on waste management practices for teachers, students, and community leaders. "It's devastating to dive on coral reefs and see pieces of trash floating past," says ELAW Staff Scientist Dr. Heidi Weiskel. "And now we are discovering that many of the fish species we consume are filled with microplastics." ELAW partners around the world are stepping up to challenge single-use plastics. In Guatemala, Alianza de Derecho Ambiental y Agua (ADA2) is working with municipalities in the ocean-flowing Motagua River watershed to develop new regulations to reduce waste, including a ban on the most persistent plastics. In Canada, Calvin Sandborn, legal director of the University of Victoria Environmental Law Centre, joined Margaret Atwood (author of Handmaid's Tale) to urge Canada to establish a national strategy to reinvent the plastic economy. In Uganda, Greenwatch championed the case for a total ban on the use, import, and manufacture of micro-thin plastic bags called "kaveera." The High Court at Kampala pronounced that kaveera deprive Ugandans of their constitutional right to a clean and healthy environment, and the government should work to ban them.